We hope that every parent walks away from the FPWR Family Conference with new information they can use in their everyday lives, and our two sessions on PWS Applied Behavior Analysis (ABA) will be packed with practical tools. 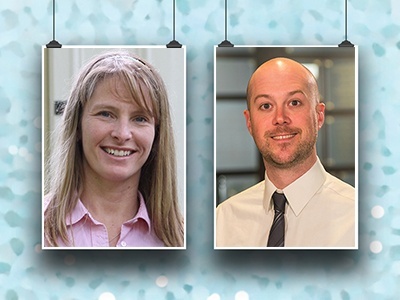 Board Certified Behavior Analyst Cindy Szapacs and Associate Behavior Analyst Tony Chambers will lead separate sessions on ABA focused on dispelling myths and education advocacy, respectively. For all parents who have faced or are facing behavior challenges, these PWS Applied Behavior Analysis sessions should shed light on a better path forward for you and your child. Applied Behavior Analysis is known as “the science of human behavior.” It’s an umbrella term for a range of therapeutic techniques that are aimed at both decreasing inappropriate behavior and increasing appropriate behavior so that patients can rely less on support services and have an easier time in social settings. ABA can be used to improve a variety of capabilities, including communication, reading, and academics, as well as fine motor skills. The first session, ABA (Part 1): Applied Behavior Analysis and PWS: Dispelling Myths and Changing Behavior, will be led by Cindy on Saturday morning. Cindy notes that people may be familiar with ABA because of its use for people with autism, but they may have the wrong idea about what it is and isn’t. Her session is focused on teaching participants basic ABA principles and how to apply them in their daily lives. She’ll also explain what a functional behavior assessment (FBA) is and how it can be used to help people who have PWS. Tony’s session, ABA (Part II): Applied Behavior Analysis in the Education Setting: What to know and how to advocate, is scheduled for Saturday afternoon. Children with PWS frequently have behavioral issues that affect their success in school. The session is for parents with children in school, including district-run early childhood programs. When should you consider ABA as a service for your child? How do you effectively advocate for an ABA evaluation? Both sessions are open and appropriate for families with diagnosis of PWS, Schaaf-Yang syndrome (SYS) and USP7 Syndrome. Cindy expanded her existing work serving people with disabilities to include PWS after the oldest of her two sons was diagnosed with PWS in infancy. Since then, she’s dedicated herself to educating other professionals about how to best meet the needs of people in our community. She is a Behavior Analyst supporting classrooms run by the Bucks County Intermediate Unit #22 in Pennsylvania. She has presented on a variety of topics related to special education and Applied Behavior Analysis, especially as it relates to PWS. She has a Master’s Degree in Education from the University of Virginia. Tony is an Associate Behavior Analyst and has a Master’s degree in Education from the University of Missouri. The 2018 FPWR Family Conference is Oct. 4-6 in Las Vegas, and registration is open now. The conference is our once-a-year chance to learn, connect and network together with experts like Cindy and Tony. Cindy’s session is from 11 a.m.-12:15 p.m. on Oct. 6, and Tony’s is in the afternoon from 1:45-3 p.m. Both are also planning to lead ABA-specific subsessions at 12:45 p.m. Note: Watch the PWS Applied Behavior Analysis presentation on video here!